For ultimate performance, the mid-engined layout is used for supercars – just like it is on racing cars. 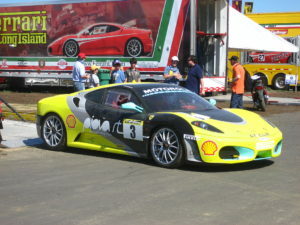 Typical mid-engined supercars are the Ferrari F430, Lamborghini Murcielago and Noble M400. Mostexotic supercars are also mid-engined. Because the driver sits in front of the engine, the car can be lower, reducing frontal area and the center of gravity. That means a higher top speed and better cornering. Those add up to a big advantage in performance. These cars are usually powered by V-type engines, or boxer engines, as these are lower and take up less room than in-line engines. To get the weight well back, the gearbox is usually mounted behind the rear axle gears as a transaxle. The weight distribution is about 42% front to 58% rear to 39% front to 61% rear. Any more weight at the back upsets the handling balance.Because the weight of a mid-engined car is concentrated at the middle, there is less force tending to spin the car when it corners than a front-engined car, which is more like a dumbbell. But, things happen faster with a mid-engined car! If you upset the balance badly when cornering, the car can spin very quickly. To get the power onto the road, the rear tires are wider than the front ones on a mid-engined car – usually about 30% wider. The wider rear tires also make the cars more stable at high speeds. The mid-engined layout was adopted first for single-seater racing cars, and then for sports racing cars before being adopted for road cars.Ferrari and Lamborghini have been making mid-engined supercars for many years, and many smaller companies make mid-engined cars as well. The cheaper supercars usually have front engines, and are more like ordinary cars – except in their performance. One of the first mid-engined sports racing coupes was the Lola GT, which was ahead of its time with a monocoque body – that is the body panels formed the structure. Its competitors, like the Ferrari Testarossa, all had tubular frames, which were heavier and not so stiff. 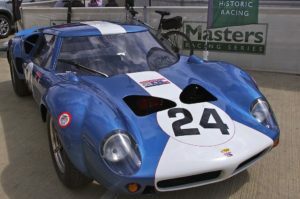 It became the model for the Ford GT40 racing cars, and later this layout became popular for supercars.The advanced structure of the GT40 helped Ford beat Ferrari at Le Mans and in other long distance races. Now, you can buy a Ford GT supercar, similar in looks to the GT40, but bang up to date. What about rear-engined cars like the Porsche 911? Rear-engined cars have the engine behind the rear wheels, so there is a lot of weight on the rear wheels. Also, because the engine sticks out behind, when the car starts to slide, the mass of the engine keeps it going. This is not the best layout, although it makes quite a practical 2+2. 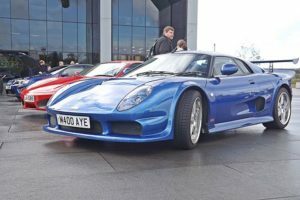 Rex Truman has been writing about fast cars and supercars for many years, and runshttp://www.special-supercars.info/, an informative site about supercars.